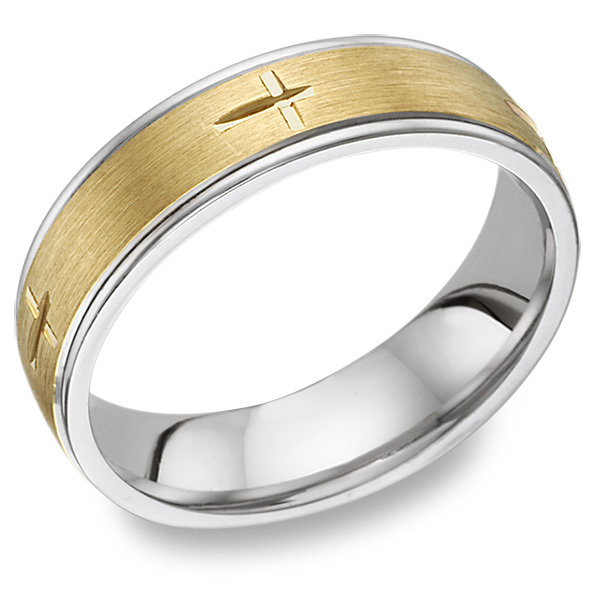 Beautifully designed, 14k solid two-tone gold Christian Cross Wedding Band Ring. Center is carefully brush-finished for a matte center design with polished, shiny crosses. Also available in all white gold, all yellow gold, 18k gold, or platinum by request. We guarantee our Christian Cross Etched Wedding Band Ring, 14K Two-Tone Gold to be high quality, authentic jewelry, as described above.